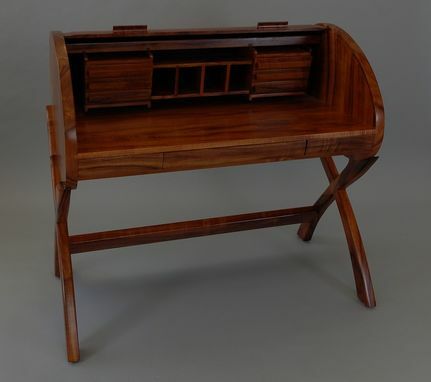 A one-of-a-kind solid Koa roll top desk. It has six small drawers in the organizer and three large drawers under the writing surface, including a platform for a computer keyboard. This will be a collector's item!